The proliferation of departmental network printers and MFPs, many of which are colour capable, demands systems to control the total cost of printing including, where there is a central print room making full and proper use of that facility. ATI’s software enables organisations to control such issues. 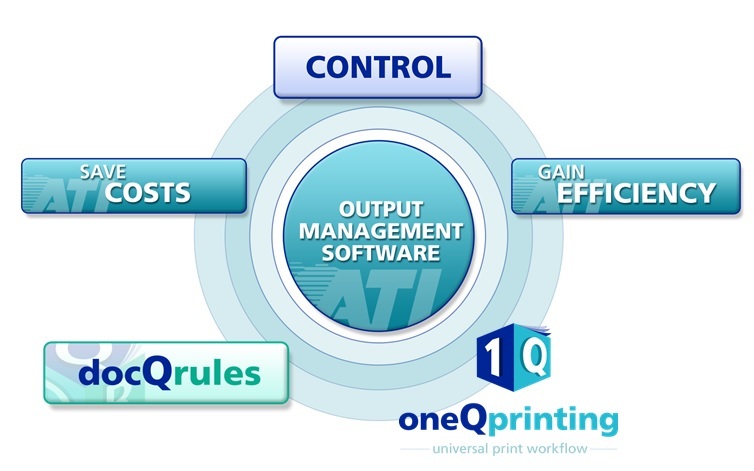 Beyond its simple point-and-click configuration interface, the docQrules Enterprise edition has an Advanced Mode which can be used for addressing varied and complex print output requirements. For example, controlling print load over a WAN, or applying user friendly jobnames for “Follow You” systems. Look at some case study examples where it has brought benefits.